Samsung GALAXY SII PLUS To arrive in 2013 ?? Samsung Galaxy SII Plus does exist... EH?? The long rumored SAMSUNG GALAXY SII PLUS will be launched by Samsung. The device was scheduled to be launched during this fall but then the company postponed its release as the company wanted to release the Samsung Galaxy S III Mini and the Galaxy Premier. Now, we have got rumors that Samsung is preparing to launch the Galaxy S II PLUS by the end of this year or during the first quarter of the year 2013. We could get no firm info regarding the pricing and availability. Samsung Galaxy S II Plus will be available in Chic White and Dark Blue, but will have only 8GB of internal memory. Since there will be only one version, we might expect a microSD Card Slot to be present in the device for further memory expansion. 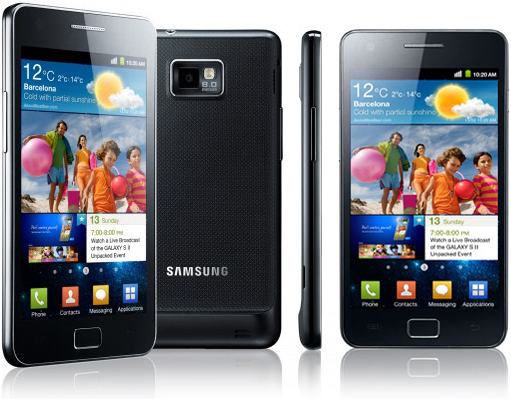 The Galaxy SII proved to be just great all over the markets. The original Samsung Galaxy S II was equipped with a dual-core 1.2GHz processor and a 4.3-inch 480x800-pixel Super AMOLED Plus display. The new Galaxy S II Plus may or may not come with similar characteristics. But, the good news is that the device will feature Android 4.1.2 Jelly Bean, and Samsung’s Nature UX skin. We expect Samsung to launch the device somewhere around December or January and also price the device between the prices of the Samsung Galaxy S III Mini and the Galaxy Premier. Keep reading for further updates..
0 Respones to "Samsung GALAXY SII PLUS To arrive in 2013 ??"